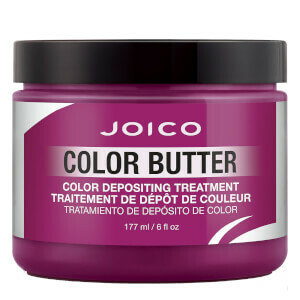 Fight the fade and quench your thirsty strands with the ultra-moisturising Color Butter Colour Depositing Treatment by Joico. A rich, yet featherweight hybrid formula designed to amp up bold hair colours or bump up your blonde. 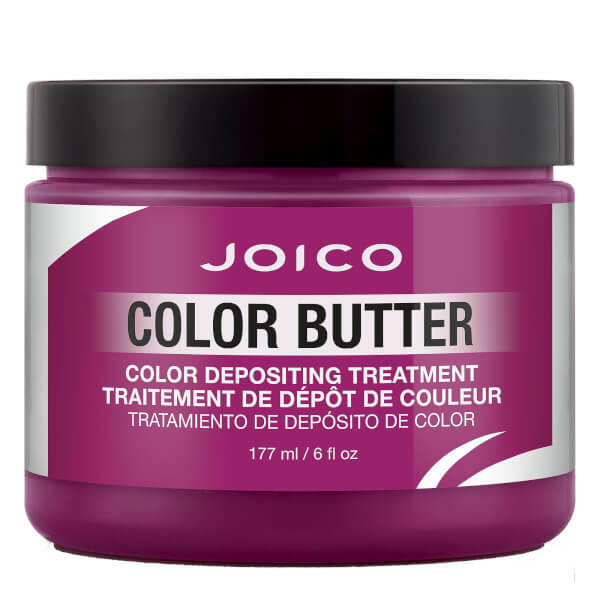 Formulated with cutting edge technology – including hair-strengthening amino acid Arginine, protein-rich Quadramine Complex and Joico’s patented Bio-Advanced Peptide Complex™ for restoration – this super-nourishing treatment repairs damaged cuticles, making hair 44 percent less prone to breakage. What’s more, you don’t have to make any big commitments since it only lasts for up to ten washes. Apply using gloves to damp or dry hair. Section and apply evenly to each section. Leave on for 5 minutes. Rinse well. To patch test: Apply a small amount of product to clean, dry, inner side of elbow and wait 48 hours. If there is any burning, redness, swelling or itchiness, do not use this product.